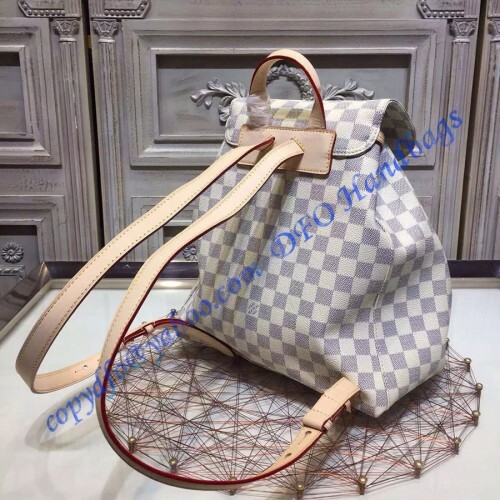 Louis Vuitton continuously offers surprise, no wonder it is adored globally for more than a century. 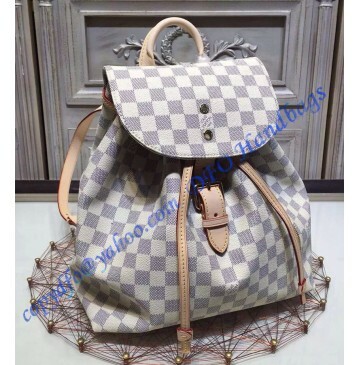 Bringing together usefulness, fashion, and high-class, this LV Sperone backpack is the newest item of LV popular backpack collection. 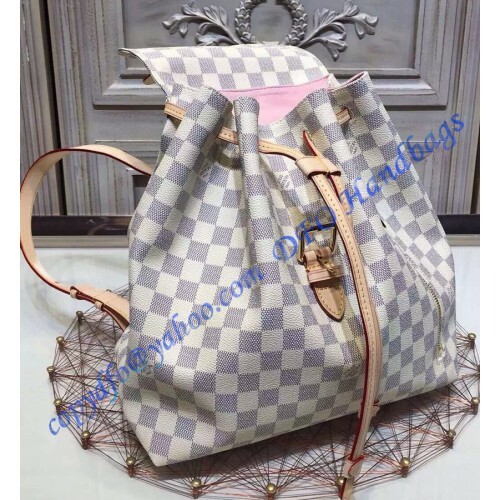 Its checked pattern and contrasting colors give a feminine feel to it whilst the buckle in the middle and the 2 adjustable flat shoulder leather straps provides it with the eye-catching appear. Should you, no matter you are a pragmatist or a fashion admirer, be anticipating simply the best from exceptional Louis Vuitton workmanship and you are thinking about purchasing a fabulous backpack, the Sperone is likely to be the best choice. 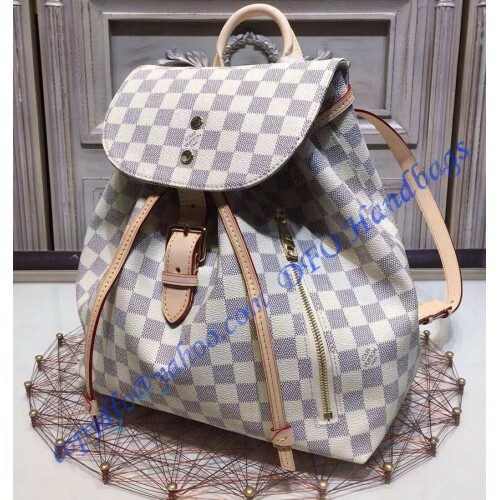 Easily portable but spacious, this LV backpack is ideal as your go-to downtown travel partner particularly when you go on tours overseas. 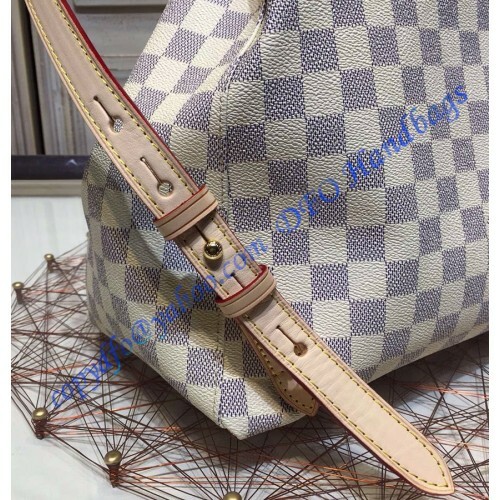 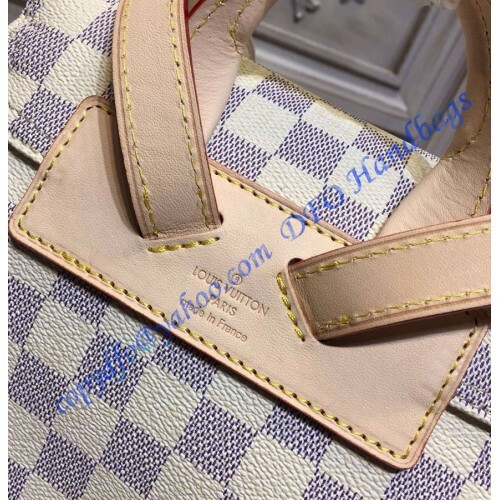 Made in Damier Azur canvas with natural cowhide leather trimmings, it features a soft handle, 2 adjustable flat shoulder straps, golden metal hardware, and an outside zipper pocket. 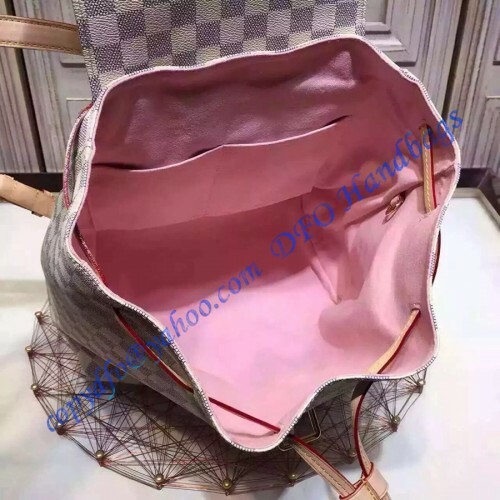 With a flap with buckle securing the drawstring top closure, it opens to a pink microfiber lined interior with double smartphone pocket and a D-ring.